Award will honor best offensive and defensive players in HBCU Football. HBCU Gameday will announce our 2017 National Offensive and Defensive Player of the Year this weekend, prior to the Celebration Bowl. Our partners at Protect Your Skull are the official sponsors of these awards. When deciding this award, the performance of players from all divisions of Black College Football will be taken into consideration. 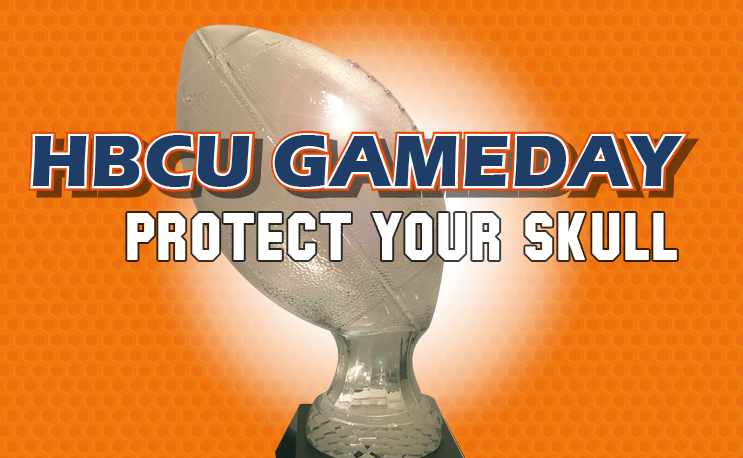 In addition to providing a glass sculpted trophy to each winner, Protect Your Skull will make a financial contribution to each winner’s school. Each school will receive a $500 donation made payable to its athletic scholarship fund. “This has been a vision that God has given us from the very beginning our journey. The purpose is to impact HBCU Football to the highest. This is for all the HBCU legends that came before us and our goal is to endorse HBCU sports at the highest level,” said Tracey Suggs one of the co-founders of Protect Your Skull. In addition to the National Awards, HBCU Gameday will conclude this season by announcing our FCS All America team. Earlier this week we announced our Division II All America team which you can find here. Protect Your Skull, LLC. is a concussion awareness brand. Former Fayetteville State University athletes Tracey Suggs and Foster Wilkins established the company in 2013. The entire sports landscape and the rules of the game in football, hockey, basketball and other contact sports have changed in order to protect players from collisions that ultimately lead to traumatic brain injuries. Protect Your Skull is the world’s first and only Concussion Awareness brand creating quality performance apparel for today’s athlete.